git commit -m "I have copied commit sentence too"
You’ll get promoted to install FlatPress. Use your own user name and password to complete the setup. We have bundled a moron looking responsive theme which you can see on screenshot. 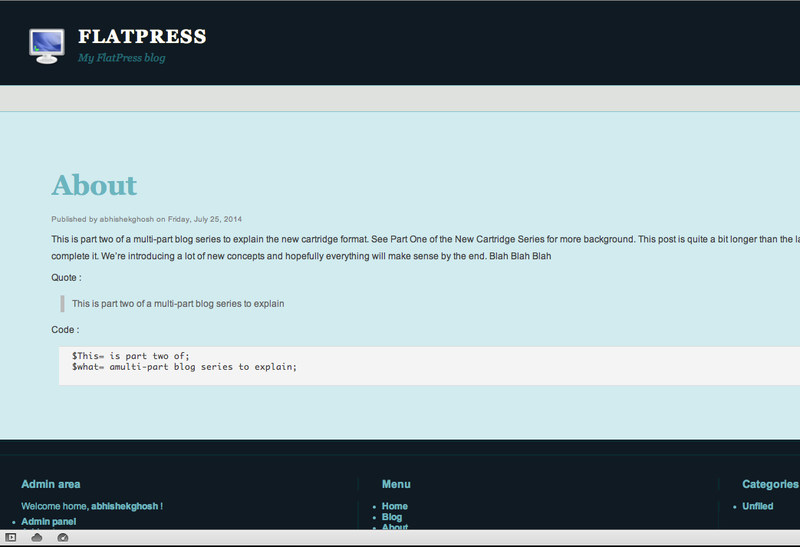 Cite this article as: Abhishek Ghosh, "Install Light Blogging Software FlatPress on OpenShift PaaS," in The Customize Windows, July 25, 2014, April 23, 2019, https://thecustomizewindows.com/2014/07/install-light-blogging-software-flatpress-openshift-paas/.